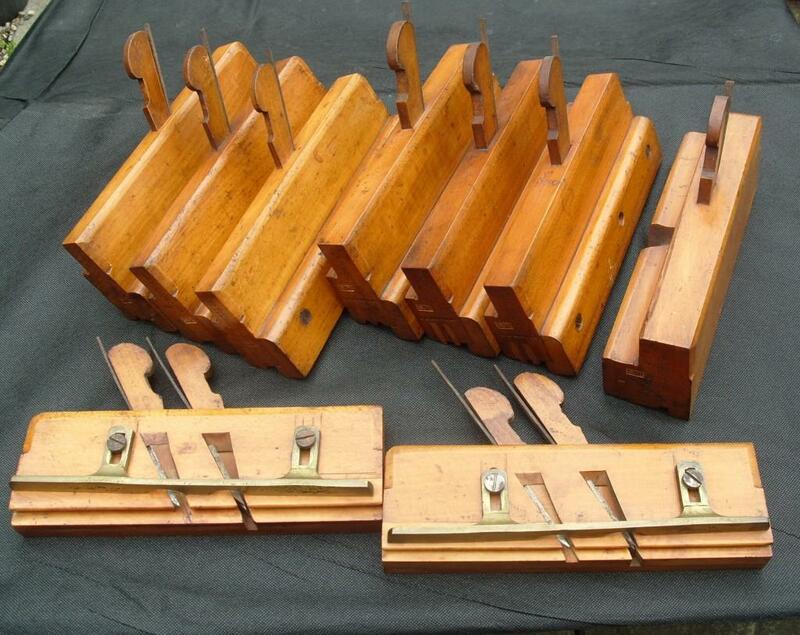 A wonderful group of 9 airtight casemaking moulding planes by MOSELEY of London, part of a private MOSELEY collection. The gentleman’s ‘curio cabinet’ of the 19th century was developed and enlarged by museums to house their exhibits. Well before the days of air conditioning and effective chemical methods of conservation the main emphasis was placed on reducing the flow of air and associated dust and damp which could otherwise lead to the decay or degradation of fragile exhibits. 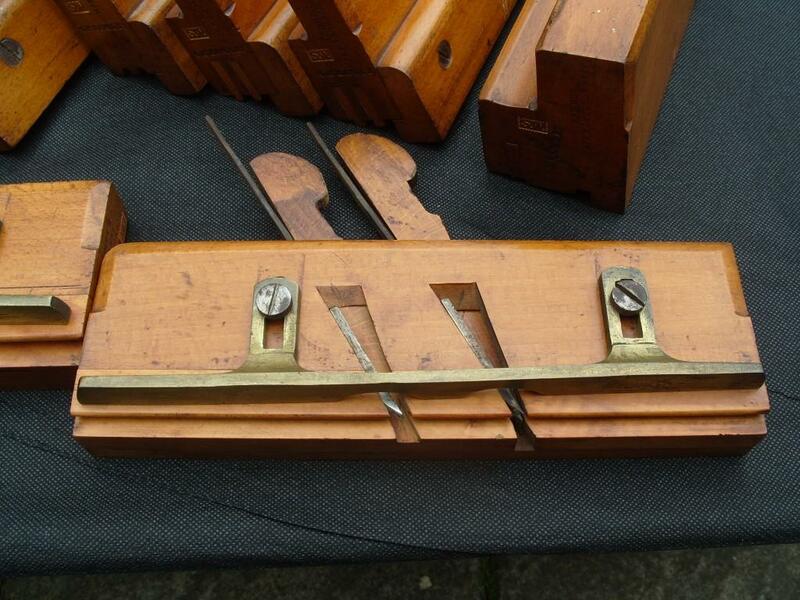 Hence the airtight joint was adopted by the museum sector. 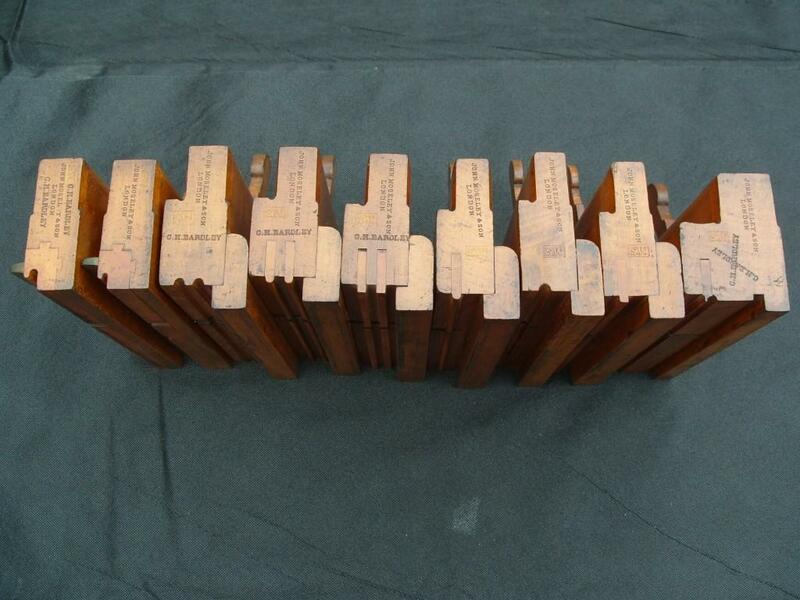 This group includes a set of three planes to make single joints plus a set of three to make double joints. 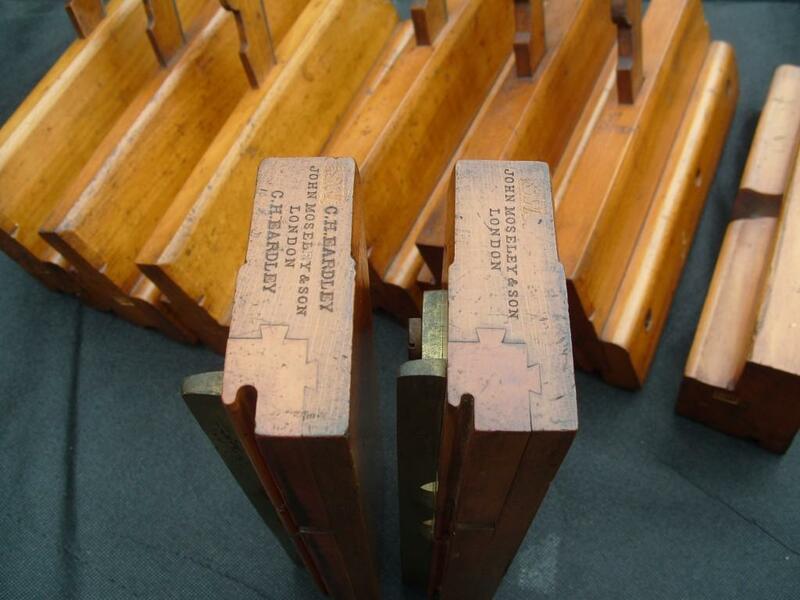 Because of the accuracy required all planes were fenced. 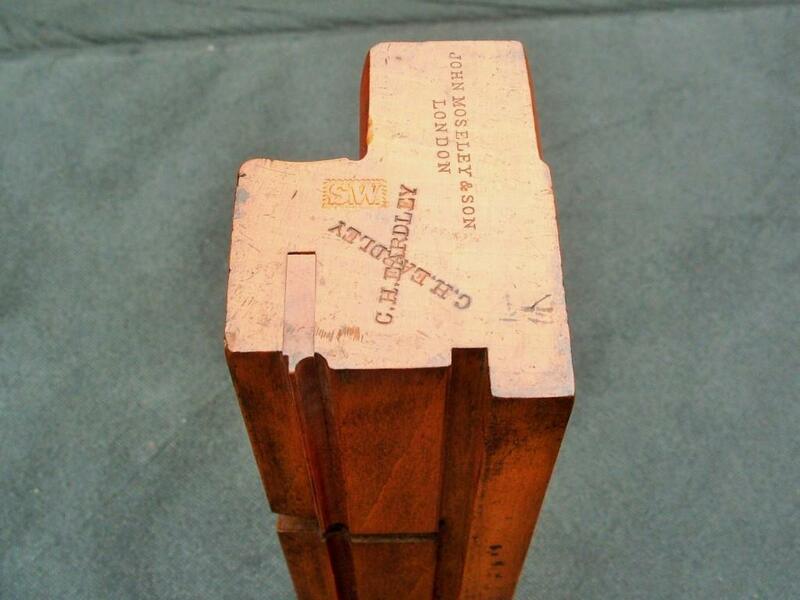 A fourth plane, the combined hollow and fillet, was used to form a separate piece inserted to the head and foot of the case and forming a stop. 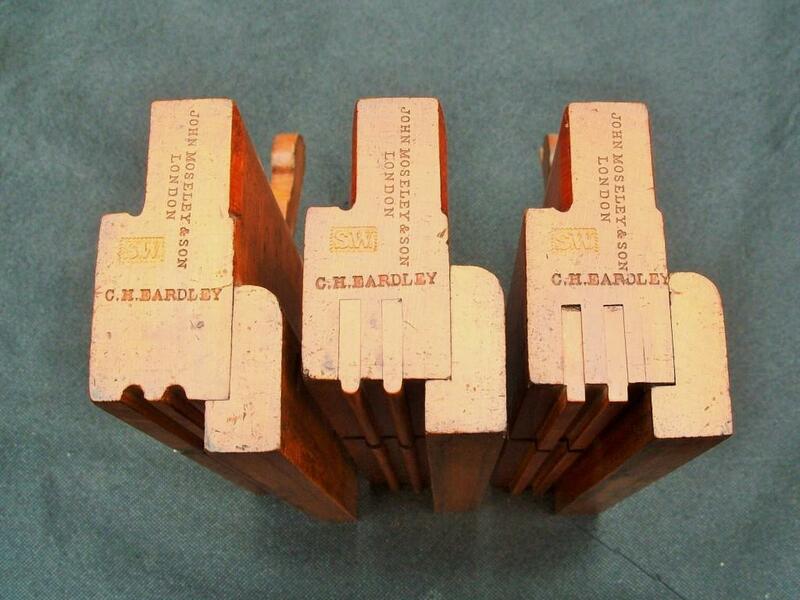 The other type of plane required to form the joints where the door stiles meet is the hook joint plane, this group includes the two fully boxed and long brass fenced examples shown above and below. 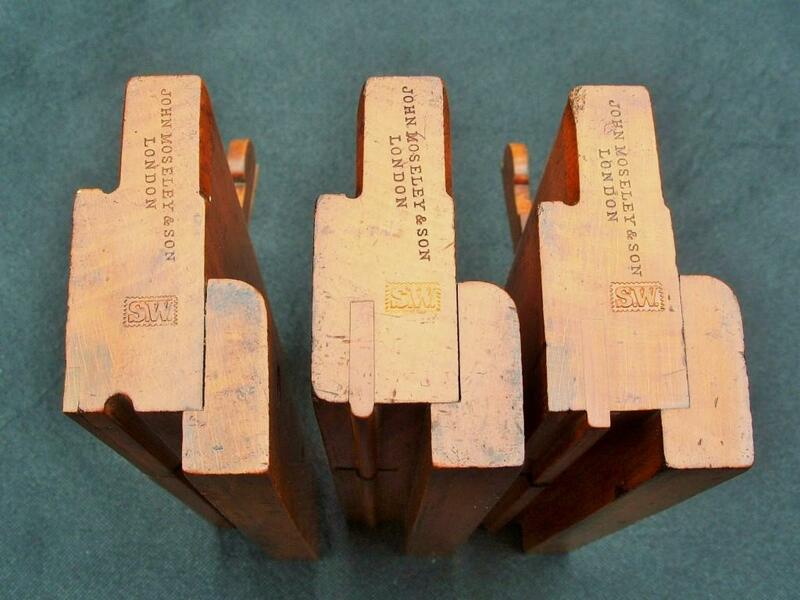 Airtight planes sometimes appear, mainly as single items and rarely in completes sets in excellent condition such as these. Further details on airtight casemaking and these specialist planes by Mark Rees can be found in The Tool and Trades History Society’s Journal No.4 from 1987.